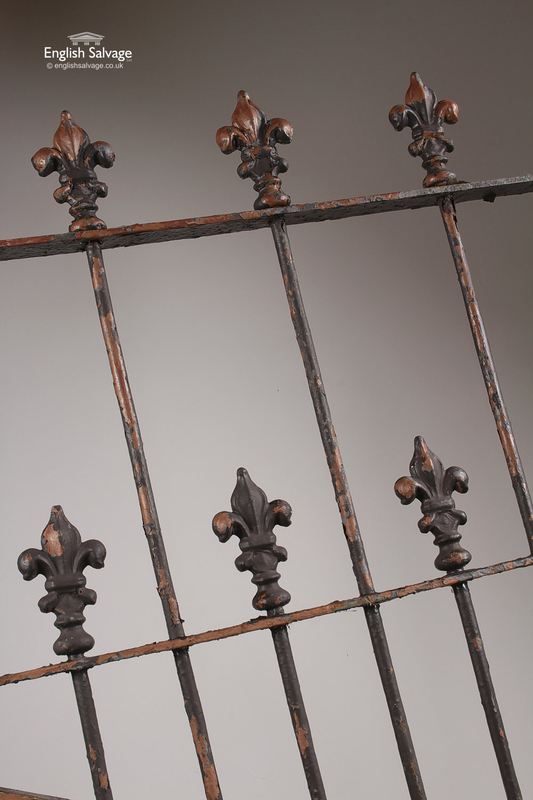 Reclaimed pair of pedestrian vertical bar gates with fleur de lys finials and remnants of a black paint finish. 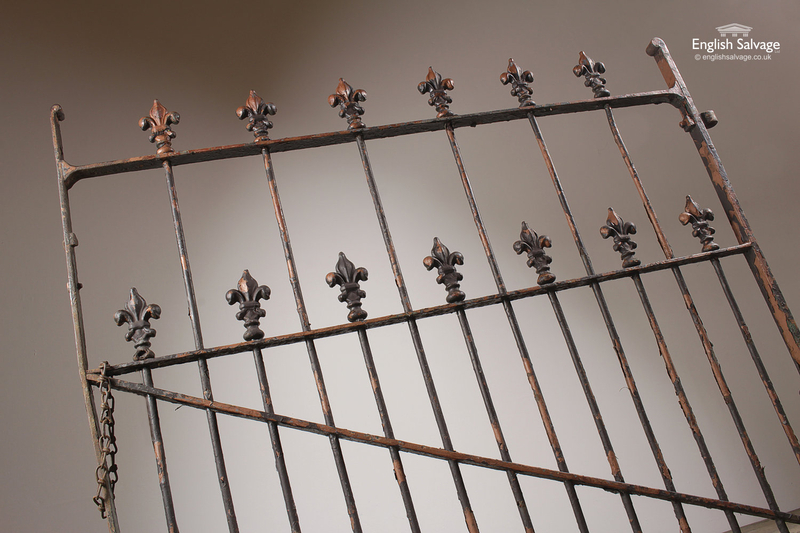 One of the gates sits on to a wall post which has a silver painted bud finial. 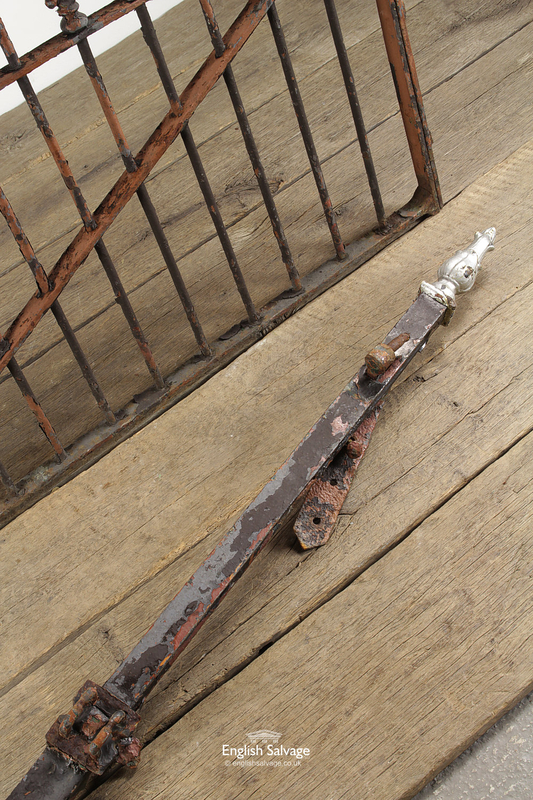 This post measures 6cm(w) x 165cm(h). 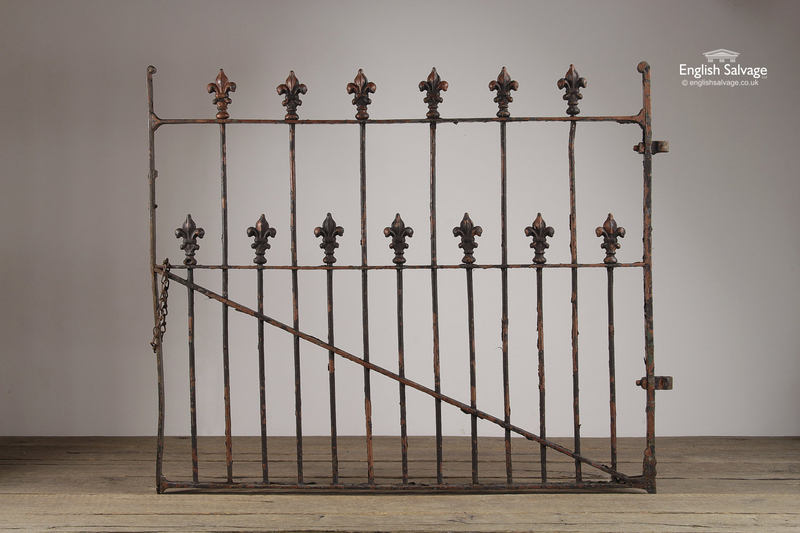 The dimensions listed on the main page refer to a single gate and the width listed excludes the gate lugs, which measure 5cm(w). 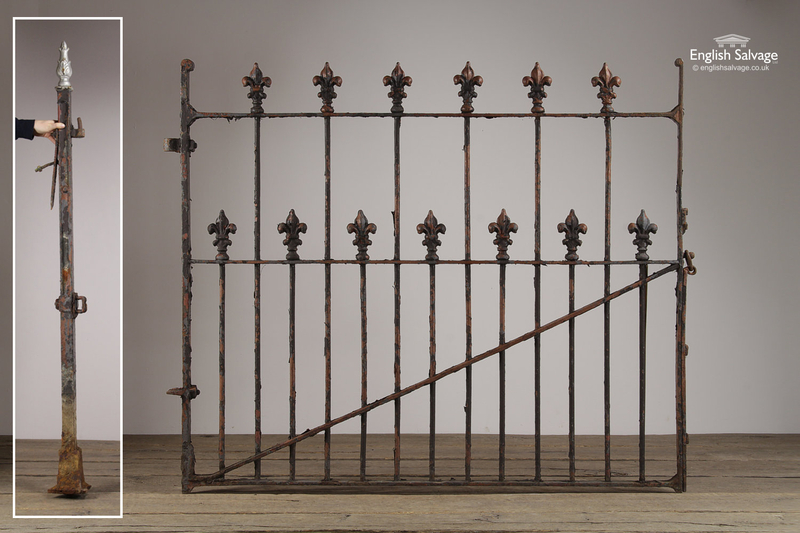 Both gates are weathered with some flaking paint and slightly bent bars.